Having been founded in 1857 by the Sisters of Charity, St Vincent’s Hospital is today one of Australia’s most iconic and highly regarded Hospitals, functioning as a principal referral and tertiary, public teaching hospital. All of our staff at St Vincent’s Hospital strive to deliver the highest quality of patient care and we are committed to continuing the Mission of our founding Sisters of Charity in service of the poor and disadvantaged across all services. Our core values are compassion, justice, integrity and excellence and through our Mission we are committed to justice and compassionate care for all patients, their families and carers and the communities we serve. Part of the NSW-based arm of St Vincent’s Health Australia, the Hospital provides significant training and research activities housing several specialty units that are internationally recognised as centres of excellence. These include heart and lung transplantation, bone marrow transplantation, cardiology, cancer care, AIDS/HIV, respiratory medicine, mental health and drug and alcohol services. Co-located with St Vincent’s is Sacred Heart Health Service – one of Australia’s largest and leading palliative care and rehabilitation providers offering inpatient and outpatient services. The Hospital’s endeavours are supported by a significant investment in teaching and research both within our facilities but also in partnership with universities and affiliated research institutes. 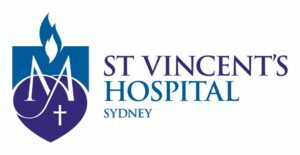 Part of the St Vincent’s Health Network is St Joseph’s Hospital, a major sub-acute public hospital in western Sydney with core services in palliative care, medical rehabilitation, aged care and aged care psychiatry, support groups and outreach programs.